Austin (, ) is the capital of the U.S. state of Texas and the seat of Travis County, with portions extending into Hays and Williamson counties. It is the 11th-most populous city in the United States and the 4th most populous city in Texas. It is the fastest growing large city in the United States and the second most populous capital city after Phoenix, Arizona. As of the U.S. Census Bureau's July 1, 2016 estimate, Austin has a population of 947,890. 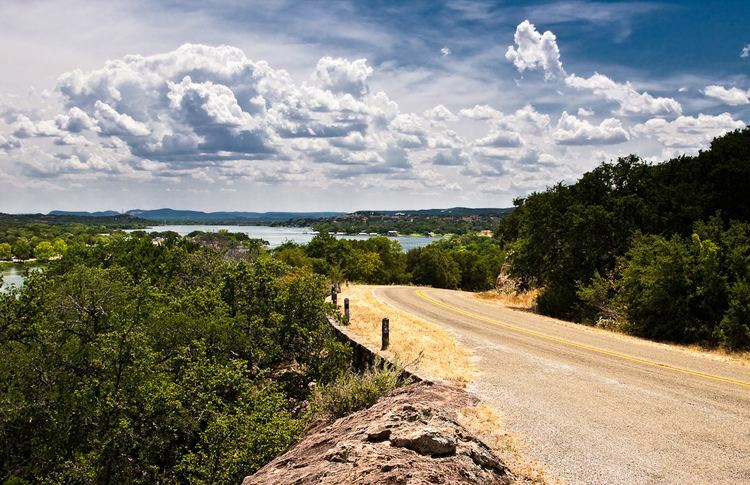 Located in Central Texas in the foothills of Texas Hill Country, the city is home to numerous lakes, rivers, and waterways including Lady Bird Lake, Barton Springs, McKinney Falls, the Colorado River, Lake Travis, and Lake Walter E. Long. It is the cultural and economic center of the Austin–Round Rock metropolitan area, which had an estimated population of 2,056,405 as of July 1, 2016. Austin's skyline historically was modest, dominated by the Texas State Capitol and the University of Texas Main Building. However, many new high-rise towers have been constructed since 2000—Austin's ten tallest buildings were completed after 2003. The city's tallest building, The Austonian, was topped out on September 17, 2009. Austin is currently undergoing a skyscraper boom, which includes recent construction on the now complete 360 Condominiums at 563 feet (172 m), Spring (condominiums), the Austonian at 683 feet (208 m), and several other office, hotel and residential buildings. Downtown's buildings are somewhat spread out, partly due to a restriction that preserves the view of the Texas State Capitol from various locations around Austin (known as the Capitol View Corridors). Under the Köppen climate classification, Austin has a humid subtropical climate. This climate is typified by very long, hot summers; short, mild winters; and warm transitional seasons in between. Austin averages 34.32 inches (872 mm) of annual rainfall and it is distributed mostly evenly throughout the year, though spring and fall are the wettest seasons. Sunshine is abundant during all seasons, with 2,650 hours, or 60.3% of the possible total, of bright sunshine per year. The summer season in Austin is very hot, and average July and August highs frequently reach the high-90s (34–36 °C) or above. Highs reach 90 °F (32 °C) on 116 days per year, of which 18 days reach 100 °F (38 °C). The daytime high averages 80 °F (27 °C) or warmer every day between April 14 and October 24. The highest ever recorded temperature was 112 °F (44 °C) occurring on September 5, 2000, and August 28, 2011. Humidity is inconsistent and fluctuates frequently depending on the shifting patterns of air flow and wind direction. Humidity rises when the air drifts inland from the Gulf of Mexico, but decreases significantly when the air is channeled through the Chihuahuan Desert of West Texas. Winters in Austin are mild with cool nights. January is the coolest month with an average daytime high of 61 °F (16 °C). The overnight low reaches or exceeds freezing 19 times per year, and sinks below 45 °F (7 °C) during 88 evenings per year, including most nights between mid-December and mid-February. Lows in the upper 30s also occur commonly during the winter. Conversely, winter months are also capable of occasionally producing warm days. On average, eight days in January reach or exceed 70 °F (21 °C) and one day reaches 80 °F (27 °C). The lowest ever recorded temperature in the city was −2 °F (−19 °C) on January 31, 1949. Roughly every two years Austin experiences an ice storm that freezes roads over and cripples travel in the city for 24 to 48 hours. When Austin received 0.04 inches (1 mm) of ice on January 24, 2014, there were 278 vehicular collisions. Similarly, snowfall is exceptionally rare in Austin. A snow event of 0.9 inches (2 cm) on February 4, 2011, caused more than 300 car crashes. A 13-inch (33 cm) snowstorm brought the city to a near standstill in 1985. A 2014 University of Texas study stated that Austin was the only U.S. city with a fast growth rate between 2000 and 2010 with a net loss in African-Americans. As of 2014, Austin's African-American and Non-Hispanic White percentage share of the total population is declining despite the absolute number of both ethnic groups increasing. Austin's Non-Hispanic White population first dropped below 50% in 2005. The rapid growth of the Hispanic and Asian population has outpaced all other ethnic groups in the city. The Greater Austin metropolitan statistical area had a Gross Domestic Product of $86 billion in 2010. Austin is considered to be a major center for high tech. Thousands of graduates each year from the engineering and computer science programs at the University of Texas at Austin provide a steady source of employees that help to fuel Austin's technology and defense industry sectors. The region's rapid growth has led Forbes to rank the Austin metropolitan area number one among all big cities for jobs for 2012 in their annual survey and WSJ Marketwatch to rank the area number one for growing businesses. By 2013, Austin ranked No. 14 on Forbes' list of the Best Places for Business and Careers (directly below Dallas, No. 13 on the list). As a result of the high concentration of high-tech companies in the region, Austin was strongly affected by the dot-com boom in the late 1990s and subsequent bust. Austin's largest employers include the Austin Independent School District, the City of Austin, Dell, the U.S. Federal Government, NXP Semiconductors, IBM, St. David's Healthcare Partnership, Seton Family of Hospitals, the State of Texas, the Texas State University, and the University of Texas at Austin. Other high-tech companies with operations in Austin include 3M, Apple, Amazon, AMD, Apartment Ratings, Applied Materials, ARM Holdings, Bigcommerce, BioWare, Blizzard Entertainment, Buffalo Technology, Cirrus Logic, Cisco Systems, Dropbox, eBay, PayPal, Electronic Arts, Flextronics, Facebook, Google, Hewlett-Packard, Hoover's, HomeAway, Hostgator, Intel Corporation, National Instruments, Nvidia, Oracle, Polycom, Qualcomm, Inc., Rackspace, RetailMeNot, Rooster Teeth, Samsung Group, Silicon Laboratories, Spansion, Troux Technologies, United Devices, and Xerox. In 2010, Facebook accepted a grant to build a downtown office that could bring as many as 200 jobs to the city. The proliferation of technology companies has led to the region's nickname, "the Silicon Hills", and spurred development that greatly expanded the city. Other companies based in Austin include Freescale Semiconductor, GoodPop, Temple-Inland, Sweet Leaf Tea Company, Keller Williams Realty, National Western Life, GSD&M, Dimensional Fund Advisors, Golfsmith, Forestar Group, EZCorp, Tito's Vodka and YETI. In 2015, Forbes listed Austin as #1 Boom Town because of its economic strength, including jobs among other appealing attributes. Old Austin is an adage often used by the native citizens in Austin, Texas when being nostalgic to refer to the olden days of the capital city of Texas. Although Austin is also known internationally as the live music capital of the world and its catch phrase/slogan Keep Austin Weird can be heard echoed in places as far as Buffalo, NY and Santa Monica, CA - the term Old Austin refers to a time when the city was smaller and more bohemian with a considerably lower cost of living and better known for its lack of traffic, hipsters, and urban sprawl. It is often employed by longtime residents expressing displeasure at the rapidly changing culture. Austin has been the location for a number of motion pictures, partly due to the influence of The University of Texas at Austin Department of Radio-Television-Film. Films produced in Austin include The Texas Chain Saw Massacre (1974), Songwriter (1984), Man of the House, Secondhand Lions, Chainsaw Massacre 2, Nadine, Waking Life, Spy Kids, The Faculty, Dazed and Confused, Wild Texas Wind, Office Space, The Life of David Gale, Miss Congeniality, Doubting Thomas, Slacker, Idiocracy, The New Guy, Hope Floats, The Alamo, Blank Check, The Wendall Baker Story, School of Rock, A Slipping-Down Life, A Scanner Darkly, Saturday Morning Massacre, and most recently, the Coen brothers' True Grit, Grindhouse, Machete, How to Eat Fried Worms, Bandslam and Lazer Team. In order to draw future film projects to the area, the Austin Film Society has converted several airplane hangars from the former Mueller Airport into filmmaking center Austin Studios. Projects that have used facilities at Austin Studios include music videos by The Flaming Lips and feature films such as 25th Hour and Sin City. Austin also hosted the MTV series, The Real World: Austin in 2005. The film review websites Spill.com and Ain't It Cool News are based in Austin. Rooster Teeth Productions, creator of popular web series such as Red vs. Blue, and RWBY is also located in Austin. Museums in Austin include the Texas Memorial Museum, the George Washington Carver Museum and Cultural Center, the Blanton Museum of Art (reopened in 2006), the Bob Bullock Texas State History Museum across the street (which opened in 2000), The Contemporary Austin, the Elisabet Ney Museum and the galleries at the Harry Ransom Center. The Texas State Capitol itself is also a major tourist attraction. 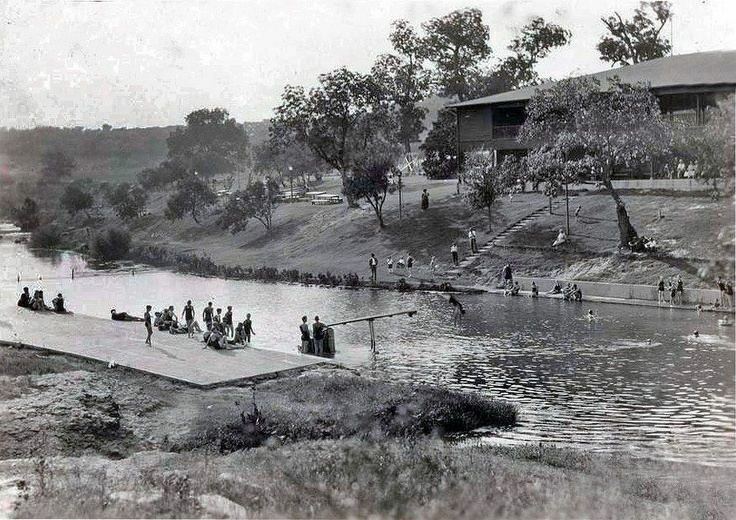 The Austin-founded American Swimming Association hosts several swim races around town. Austin is also the hometown of several cycling groups and the former seven-time Tour de France champion cyclist Lance Armstrong. Combining these three disciplines is a growing crop of triathlons, including the Capital of Texas Triathlon held every Memorial Day on and around Lady Bird Lake, Auditorium Shores, and Downtown Austin. In June 2010 it was announced that the Austin area would host the Formula One, United States Grand Prix, from 2012 until 2021. The State pledged $25 million in public funds annually for 10 years to pay the sanctioning fees for the race. A Formula One circuit was built at an estimated cost of $250 to $300 million, and is located just east of the Austin Bergstrom International Airport. Circuit of the Americas also plays host to MotoGP World Championships from 2013. The city had 39 homicides in 2016, the most since 1997. FBI Statistics show that overall violent and property crimes dropped in Austin in 2015, but increased in suburban areas of the city. One such Southeastern suburb, Del Valle reported 8 homicides within 2 months in 2016. According to 2016 APD crime statistics, the 78723 census tract had the most violent crime, with 6 murders, 25 rapes, and 81 robberies. One of the first American school mass-shooting incidents took place in Austin on August 1, 1966, when Charles Whitman shot 43 people, killing 13 from the top of the University of Texas tower (see University of Texas tower shooting). This event led to the formation of the SWAT team. As a result of the major party realignment that began in the 1970s, central Austin became a stronghold of the Democratic Party, while the suburbs tend to vote Republican. A controversial turning point in the political history of the Austin area was the 2003 Texas redistricting. Opponents characterized the resulting district layout as excessively partisan gerrymandering, and the plan was challenged in court by Democratic and minority activists; of note, the Supreme Court of the United States has never struck down a redistricting plan for being excessively partisan. The plan was subsequently upheld by a three-judge federal panel in late 2003, and on June 28, 2006, the matter was largely settled when the Supreme Court, in a 7–2 decision, upheld the entire congressional redistricting plan with the exception of a Hispanic-majority district in southwest Texas. This affected Austin's districting, as U.S. Rep. Lloyd Doggett's district (U.S. Congressional District 25) was found to be insufficiently compact to compensate for the reduced minority influence in the southwest district; it was redrawn so that it took in most of southeastern Travis County and several counties to its south and east. Overall, the city is a blend of downtown liberalism and suburban conservatism but leans to the political left as a whole. The city last went to a Republican candidate in 2000 when former Texas Governor George W. Bush successfully ran for President. In 2004, the Democrats rebounded strongly as John Kerry enjoyed a 14.0% margin over Bush, who once again won Texas. In 2003, the city adopted a resolution against the USA PATRIOT Act that reaffirmed constitutionally guaranteed rights. Of Austin's six state legislative districts, three are strongly Democratic and three are swing districts, two of which are held by Democrats and one of which is held by a Republican. However, two of its three congressional districts (the 10th and the 21st) are presently held by Republicans, with only the 25th held by a Democrat. This is largely due to the 2003 redistricting, which left downtown Austin without an exclusive congressional seat of its own. Travis County was also the only county in Texas to reject Texas Constitutional Amendment Proposition 2 that effectively outlawed gay marriage and status equal or similar to it and did so by a wide margin (40% for, 60% against). Austin is home to the University of Texas at Austin, the flagship institution of the University of Texas System with over 38,000 undergraduate students and 12,000 graduate students. In 2015 rankings, the university was ranked 53rd among "National Universities" (17th among public universities) by U.S. News & World Report. UT has annual research expenditures of over $595 million and has the highest-ranked business, engineering, and law programs of any university in the state of Texas. The Austin area has 29 public school districts, 17 charter schools and 69 private schools. Most of the city is served by the Austin Independent School District. This district includes notable schools such as the magnet Liberal Arts and Science Academy High School of Austin, Texas (LASA), which, by test scores, has consistently been within the top thirty high schools in the nation, as well as The Ann Richards School for Young Women Leaders. Some parts of Austin are served by other districts, including Round Rock, Pflugerville, Leander, Manor, Del Valle, Lake Travis, Hays, and Eanes ISDs. Four of the metro's major public school systems, representing 54% of area enrollment, are included in Expansion Management magazine's latest annual education quality ratings of nearly 2,800 school districts nationwide. Two districts—Eanes and Round Rock—are rated "gold medal", the highest of the magazine's cost-performance categories. Austin's main daily newspaper is the Austin American-Statesman. The Austin Chronicle is Austin's alternative weekly, while The Daily Texan is the student newspaper of the University of Texas at Austin. Austin's business newspaper is the weekly Austin Business Journal. The Austin Monitor is an online outlet that specializes in insider reporting on City Hall, Travis County Commissioners Court, AISD, and other related local civics beats. The Monitor is backed by the nonprofit Capital of Texas Media Foundation. 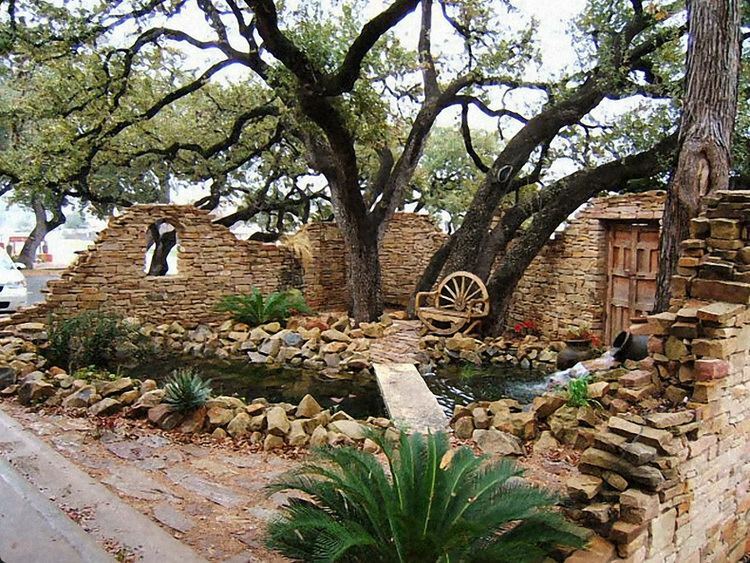 Austin also has numerous smaller special interest or sub-regional newspapers such as the Oak Hill Gazette, Westlake Picayune, Hill Country News, Round Rock Leader, NOKOA, and The Villager among others. Texas Monthly, a major regional magazine, is also headquartered in Austin. The Texas Observer, a muckraking biweekly political magazine, has been based in Austin for over five decades. The weekly Community Impact Newspaper newspaper published by John Garrett, former publisher of the Austin Business Journal has five regional editions and is delivered to every house and business within certain zip codes and all of the news is specific to those zip codes. Another statewide publication based in Austin is The Texas Tribune, an on-line publication focused on Texas politics. The Tribune is "user-supported" through donations, a business model similar to public radio. The editor is Evan Smith, former editor of Texas Monthly. Smith co-founded the Texas Tribune, a nonprofit, non-partisan public media organization, with Austin venture capitalist John Thornton and veteran journalist Ross Ramsey. Network television stations (affiliations in parentheses) include KTBC (Fox O&O), KVUE (ABC), KXAN (NBC), KEYE-TV (CBS), KLRU (PBS), KNVA (The CW), KBVO (My Network TV), and KAKW (Univision O&O). KLRU produces several award-winning locally produced programs such as Austin City Limits. Alex Jones, journalist, radio show host and filmmaker, produces his talk show The Alex Jones Show in Austin which broadcasts nationally on more than 60 AM and FM radio stations in the United States, WWCR Radio shortwave and XM Radio: Channel 166. Capital Metro opened a 32-mile (51 km) commuter rail system known as Capital MetroRail on March 22, 2010. The system was built on existing freight rail lines and serves downtown Austin, East Austin, North Central Austin, Northwest Austin, and Leander in its first phase. Future expansion could include a line to Manor and another to Round Rock. The MetroRail system has struggled to build ridership and has faced heavy criticism for its high per-rider cost to the public. Austin is known as the most bike-friendly city in Texas, and was ranked the #7 city in the US by Bicycling Magazine in 2016. 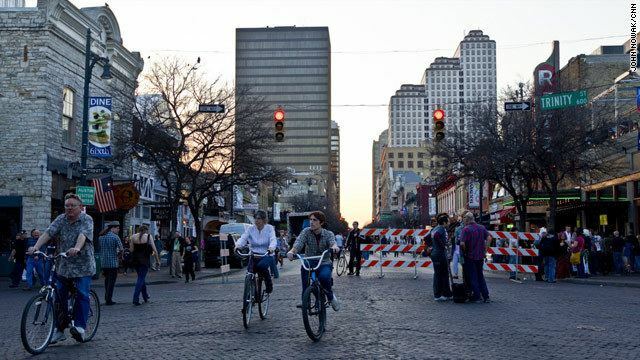 Austin has a Silver-level rating from the League of American Bicyclists. There are over 80 miles (130 kilometres) of bike lanes in Austin. Over 2% of commuters get to work by bike and many more Austinites ride for daily transportation needs, according to the American Community Survey. The North Loop neighborhood along with the Manor Road area have the highest bike commuting rates, with over 13% of residents biking to work in 2012. Biking is also very popular recreationally with the extensive network of trails in the city.